Located in Boulder, Colorado, Passport Traveling Eatery is a purveyor of World Tapas (small eats) dining from their travels around the world. Both Roy and Kat have spent most of their adult lives work in restaurants or kitchens. They meet in the spring of 2012 while working at The Flagstaff House overlooking Boulder Colorado. Soon after Roy left for the Kitchen in downtown Boulder where he would later become the sou chef. Kat also made the jump to the Kitchen where she work at the Upstairs. In 2015 they both left their jobs, got married in October and on to other adventures. Our hours and location will vary so follow us on Twitter or like us on Facebook to see where we will be day to day. Fried spiraled potato skewers dusted with Hungarian paprika served with sour cream or ketchup. Lightly battered crispy fried Red Snapper filet served with jasmine rice and sauce made of shallots, Thai Bird chilies, and fish sauce. Marinated and grilled pork with cucumber, cilantro, jalapeños, and pickled vegetables on a handmade baguette. Pork shank braised for six hours in a broth of soy sauce, oyster sauce, Shao Shing wine, and traditional spices. Served with steamed rice and pickled mustard greens. Hungarian fried bread with a selection of meats, sour cream, thinly sliced red onions. Farmers cheese. Served with sour cream. Hand cut French fries served with a variety of sauces served in a cone. A meat pie with sweet and salty flavors. Layers of slow cooked spiced chicken, onions, and egg custard, wrapped in phyllo dough. Hand breaded pieces of chicken served with ketchup. American cheese and white bread. An egg based custard waffle with spherical instead of square segments. House made sheets of fruit leather made from various fruits. Fish shaped pastry filled with a rich Strawberry Crème anglaise (flavors may vary). On January 28, 2016 Roy and Kat left Boulder to do a once in a life time world trip. They started in Japan and ended 258 days later in Iceland. 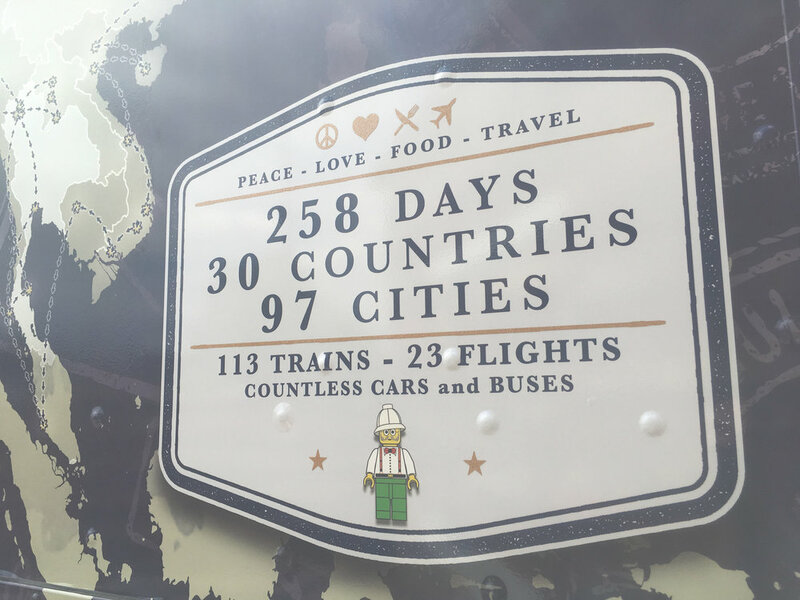 During the eight and a half months they were gone they visited 30 countries. While it was an amazing honeymoon for them they also used their adventure to learn new cuisines and recipes from cultures around the world. It is this experience that they will us with Passport Food Truck to bring you the highlights of what they are around the world. Our truck spent its first life delivery packages for FedEx. Over the course of two months the great team at Colorado Food Trucks striped down the back and built us an amazing kitchen with every piece of equipment we could squeeze into the space.